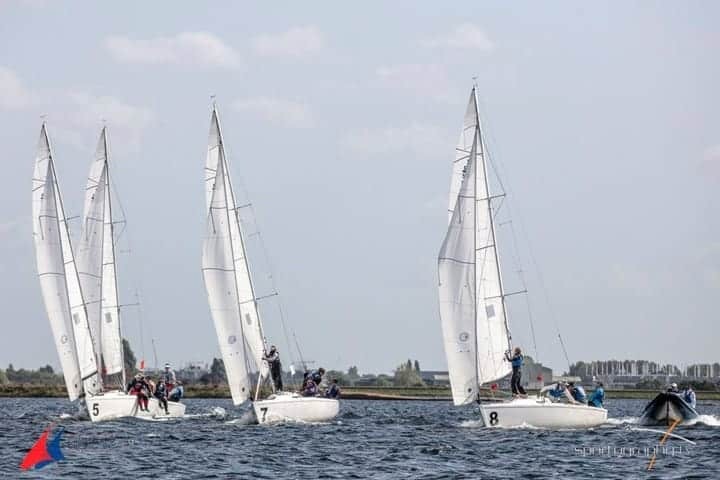 Congratulations to Josh Flack (Emmanuel 2010), a helm on the victorious Royal Thames YC team in the Cumberland Cup 2018 held in J80s on Queen Mary Reservoir 8-12th May. The Cumberland Cup is a biennial invitational two-boat team racing competition, with a good spread of international entries (4 x US, 1 x Sweden, 1 x Australia, 1 x UK). Teams consist of eight people – one helm and three crew in each boat. Society interests were additionally represented by the presence of Jo Lucas on the Race Committee. From early in the competition Royal Thames signalled that they were the team to beat, advancing steadily towards the final where they met and defeated the New York YC. Overall Royal Thames lost only 2 of the 18 races they sailed (one to Southern YC and one to New York YC).